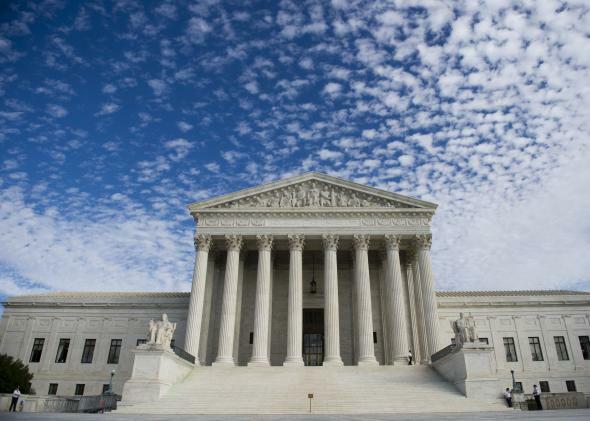 Supreme Court allows strict Texas Voter ID law. This marked the fourth time over the last few weeks that the Supreme Court has been forced to decide whether voter ID laws passed by Republican state legislatures can be used in November. The justices voted to allow changes in Ohio and North Carolina and stopped a new law in Wisconsin. “The common denominator in each seemed to be that it was too late in the election year to require the states to change the way they had planned to handle the elections,” notes the Washington Post. That was precisely the reasoning why a U.S. Court of appeals said the law could be used even though a district judge said it seemed to target minority voters. The fact that the Texas ID law had been subject to a full trial on the ID requirements and a judge developed “an extensive record” on how the measure would block access to the polling stations made this case different from the others, according to Justice Ruth Bader Ginsburg, who dissented along with Justices Sonia Sotmayor and Elena Kagan. “The greatest threat to public confidence in elections in this case is the prospect of enforcing a purposefully discriminatory law, one that likely imposes an unconstitutional poll tax and risks denying the right to vote to hundreds of thousands of eligible voters,” Ginsburg wrote.